In a lifetime you will have two complete sets of teeth. First, are the primary teeth or baby teeth. Children usually have 20 teeth. A baby starts getting teeth at six months and lose them at age 13 years. The roots on primary teeth are not as deep or firmly fixed in the bone as permanent teeth. The permanent teeth or adult teeth come in between ages 6 and 14 years old. There are 32 adult teeth in a typical mouth. These teeth should last a lifetime. The enamel of a tooth is the hardest material in your body. It has to withstand the impact of chewing and grinding food. Enamel- The white outside of your tooth. It forms the crown of your tooth above the gum line. The shape of each tooth is determined by its use. Back or posterior teeth are flat so they can be used to grind food. Front teeth or anterior have sharper pointed edges used for biting. Dentin– The layer underneath the enamel is the dentin. It is softer than enamel and contains many tubes that lead to the inner pulp chamber. When decay gets into the enamel and travels to the dentin it then can reach the pulp and create pain. Pulp– The bundle of nerves and blood vessels in the center of your tooth and canals. Root– The end of the tooth that is buried in the jawbone. It holds the tooth in place. Cementum – Covers the root to protect it. A yellowish color holds the ligament in place. There are many types of teeth and each has a distinct function. Incisors – These teeth are chisel shaped with 4 upper and 4 lower that match. They have sharp cutting edges for biting food. Canines – These teeth are also called cuspids. They have sharp points for tearing meat. These teeth have the most developmental grooves that smooth out with use. Premolars or Bicuspids – These teeth have two pointed cusps on the surface for biting food. Molars – Used for crushing and grinding food into small pieces. They usually have 4 cusps on the biting surface. The surfaces that aid in chewing on the posterior teeth are called occlusal. On the anterior teeth they are called incisal. When looking at a drawing of a tooth if you look near the junction of the root and crown that is the cervical area. And if you move your eyes closer to the top of the root that is the apex. When you study human teeth and their anatomy you will learn about the Maxilla ( upper jaw) and the Mandible ( lower jaw). You will also learn about embrasures which are triangular spaces between teeth that aid in keeping the mouth clean. If you are in South Yarra, Toorak or anywhere in Melbourne Simply Smiles Dental will take care of all of your dental needs. Please visit our blog section of our website for articles on root canals, fillings, whitening teeth and many dental issues. At Simply Smiles Dental, we believe that dentistry is not a luxury, and that everybody deserves to smile. Thats why we keep our prices fair and offer solutions to suit every budget. We make this investment in you because we’re pretty confident that you’ll be pleasantly surprised when you meet us. Our level of work and patient care ethic is first class. 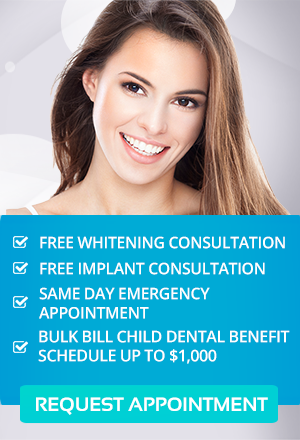 Contact our Toorak dental office on (03) 9826 2220.